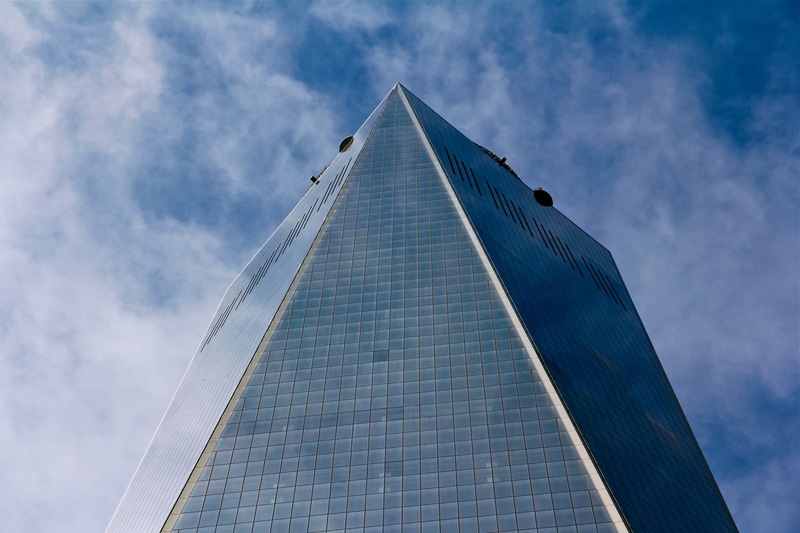 The One World Trade Center’s new observation deck has recently opened and I visited as part of a Walks of New York tour. 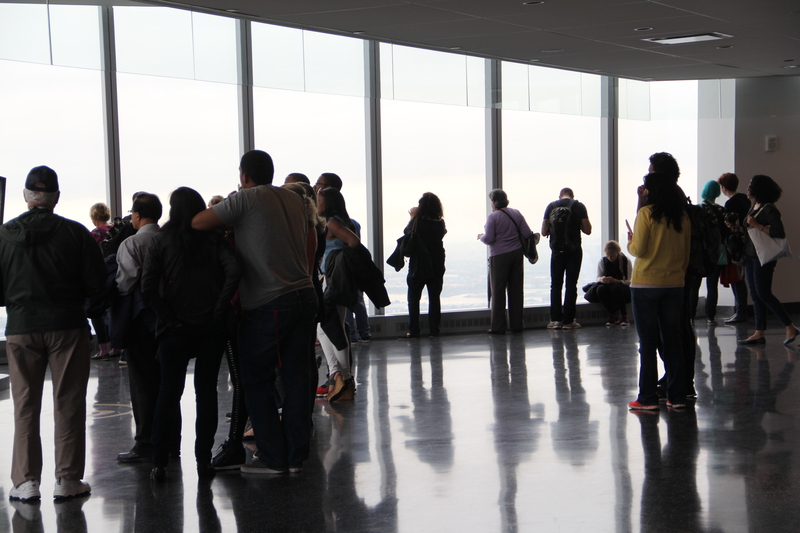 Led by local New Yorkers, these small group tours hone in on specific subject (say, photography) or neighbourhood (eg. 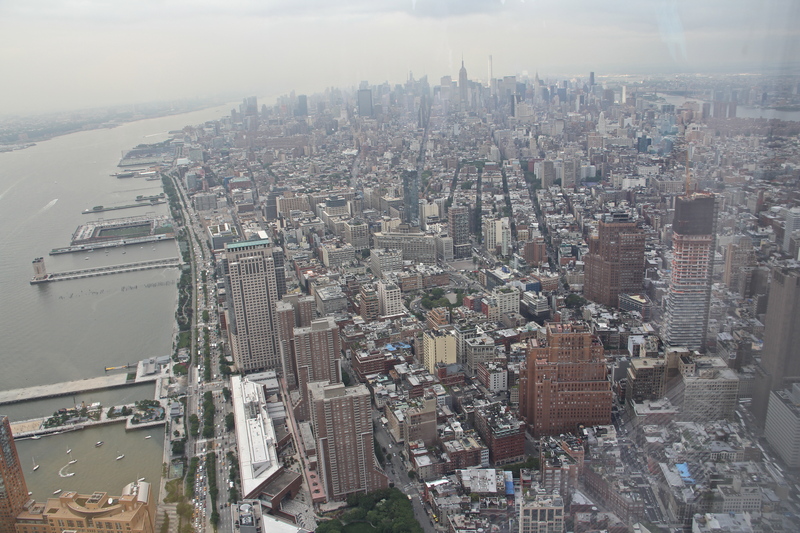 the Lower East Side) and go deep, but not too deep–less facts and figures, more personal histories. 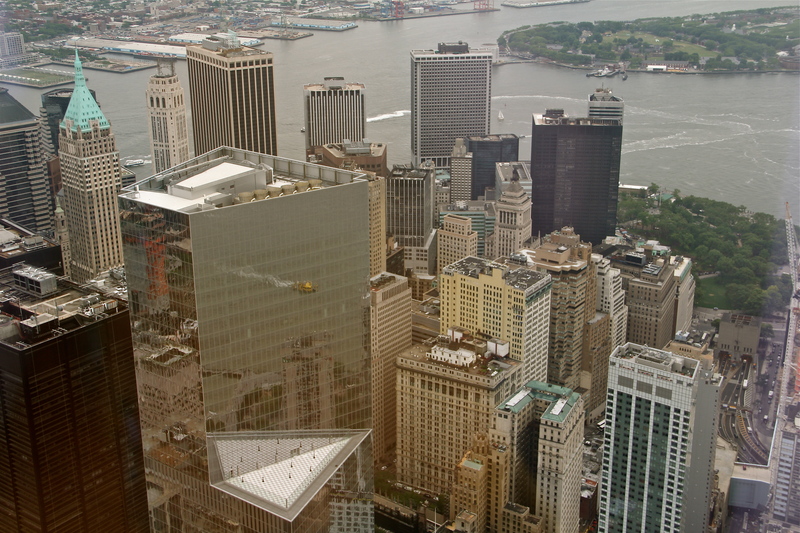 The main draw of Walks of New York’s WTC Tour & One World Observatory tour may seem to be the pre-reserved tickets to the observatory, but prior to entering the WTC the guide leads a fascinating two-hour tour of the surrounding area. 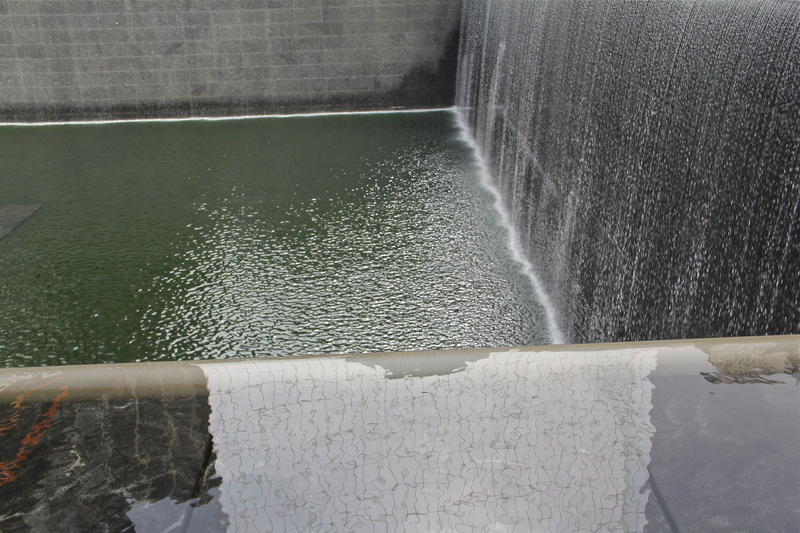 I rarely visit this area myself, feeling there’s something not quite right about gawking around the disaster sites, but I was very glad to have taken this tour and to have learned a more personal side to the events of that day–and the weeks, months and years afterwards. 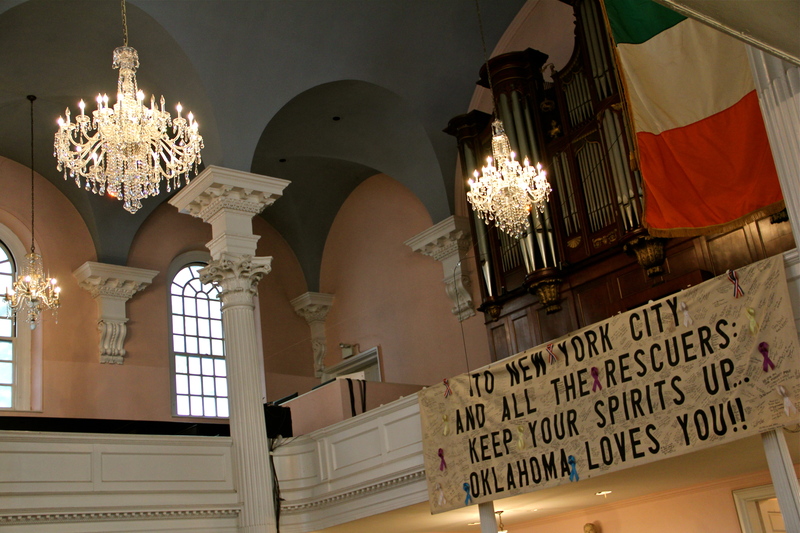 The tour began at St. Paul’s Chapel, New York City’s oldest public building, which, amazingly, was not damaged at all during the attacks. Even these 18th-century chandeliers were left intact. The church soon became a refuge for the rescue workers who couldn’t get home after their 12-hour shifts. 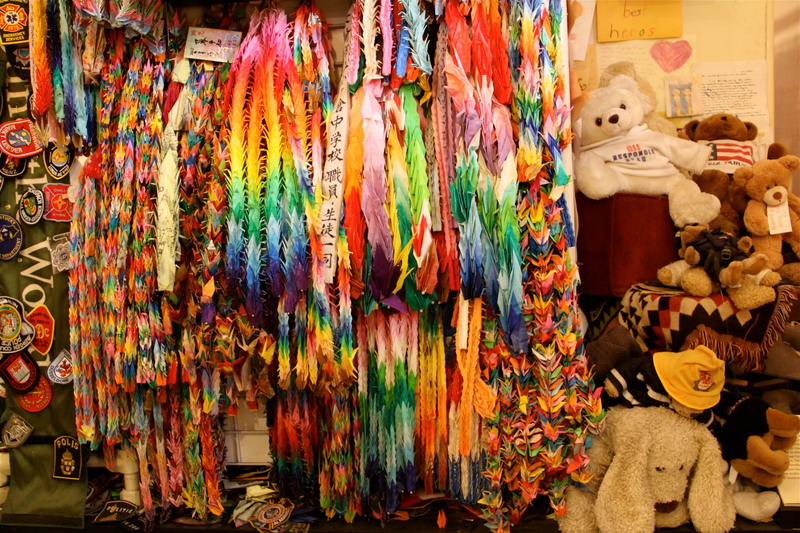 Messages of support came in from around the world–including these cranes from Nagasaki and Hiroshima survivors. 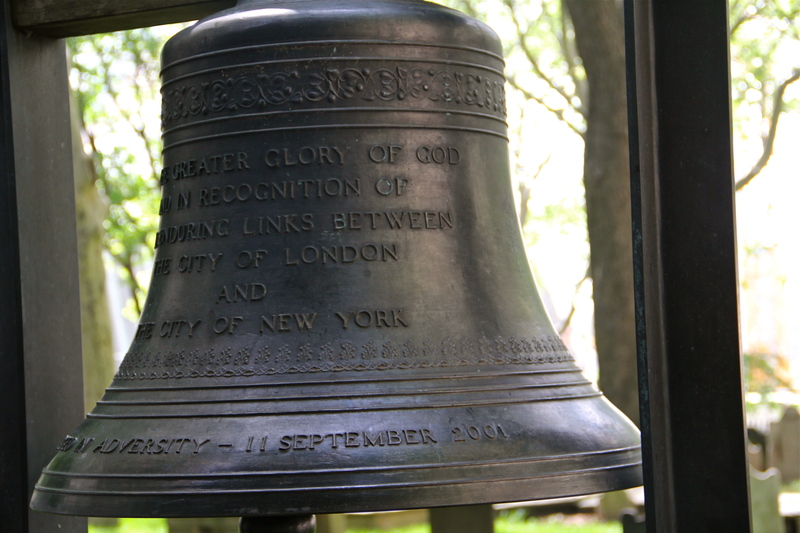 This bell was presented to St. Paul’s in solidarity from the Mayor of London. 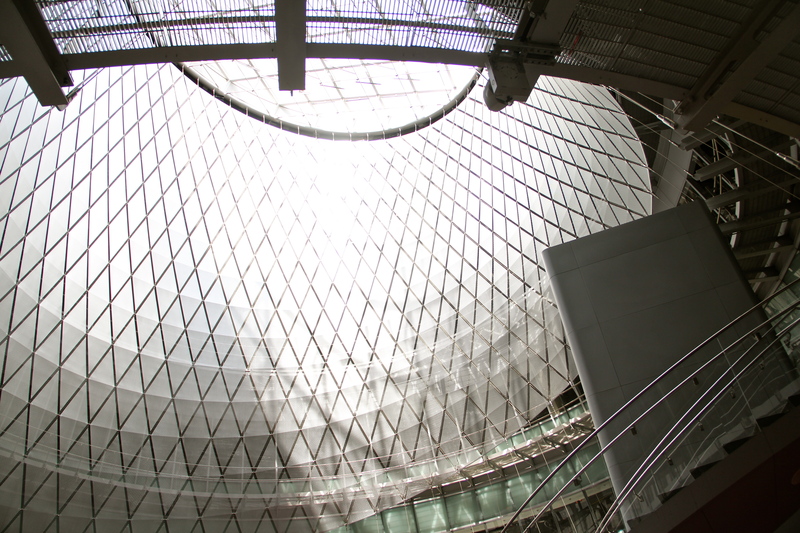 The new transit hub at Fulton Center has recently been completed. 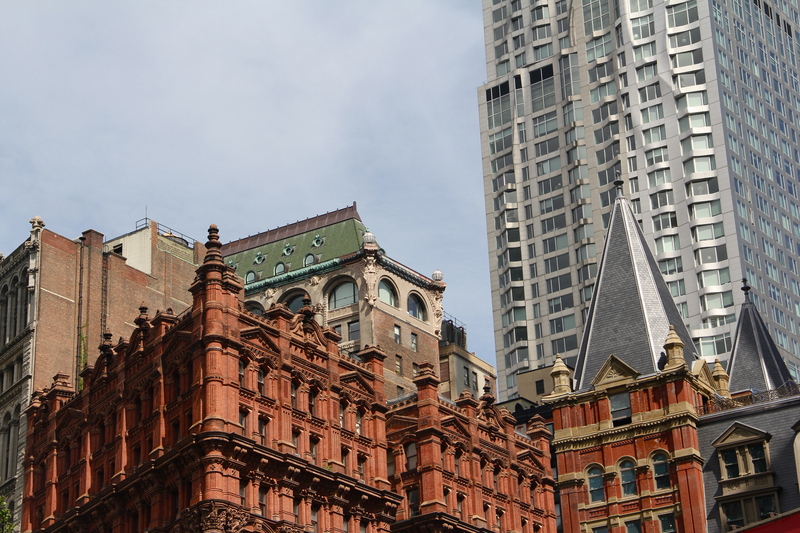 The mix of old and new architecture in Lower Manhattan is striking. 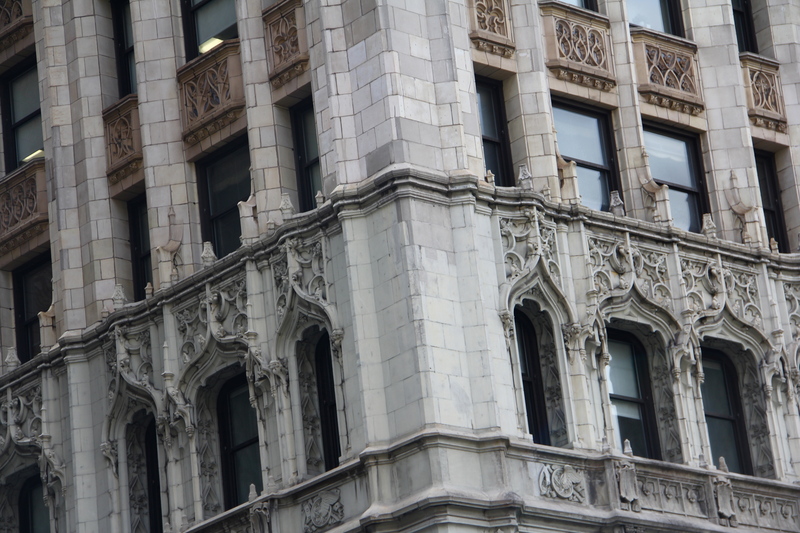 This is the Woolworth building, completed in 1913, parts of which are being developed into luxury apartments. 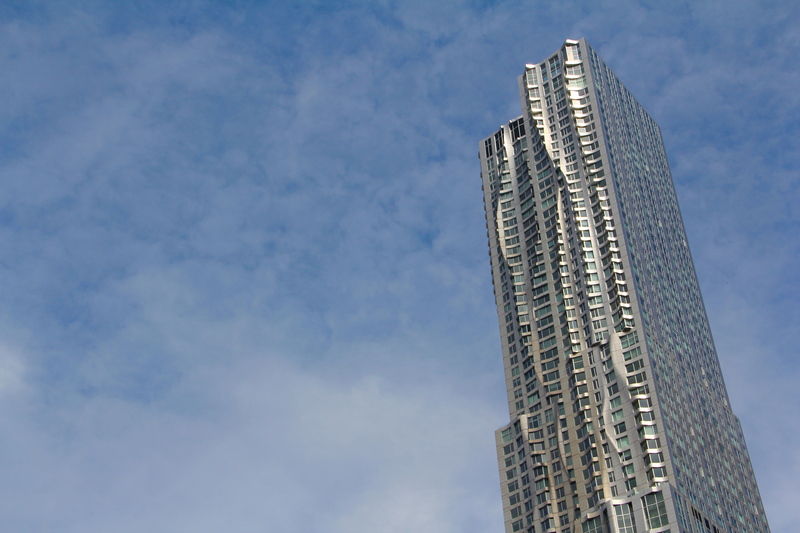 Speaking of luxury apartments, here is “New York by Gehry,” the tallest residential tower in the Americas. 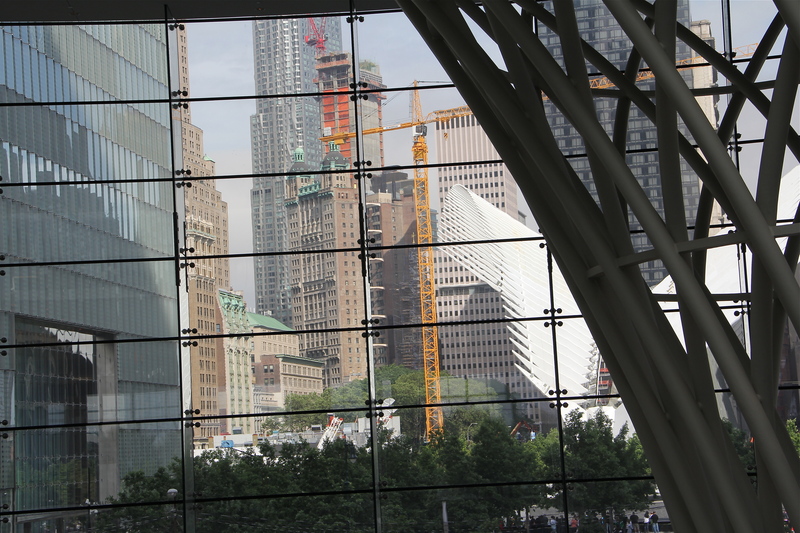 Santiago Calatrava’s World Trade Center Transit Hub is years overdue and millions of dollars over budget. 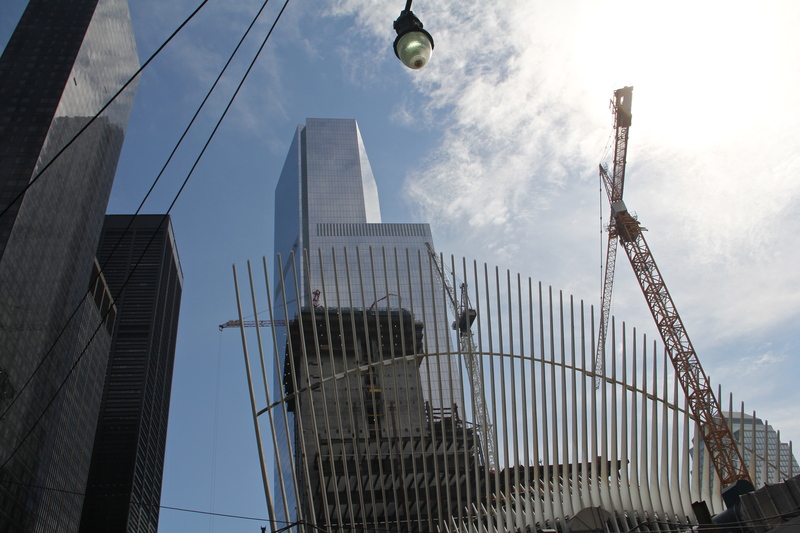 Still, here’s a look at the Oculus in construction. 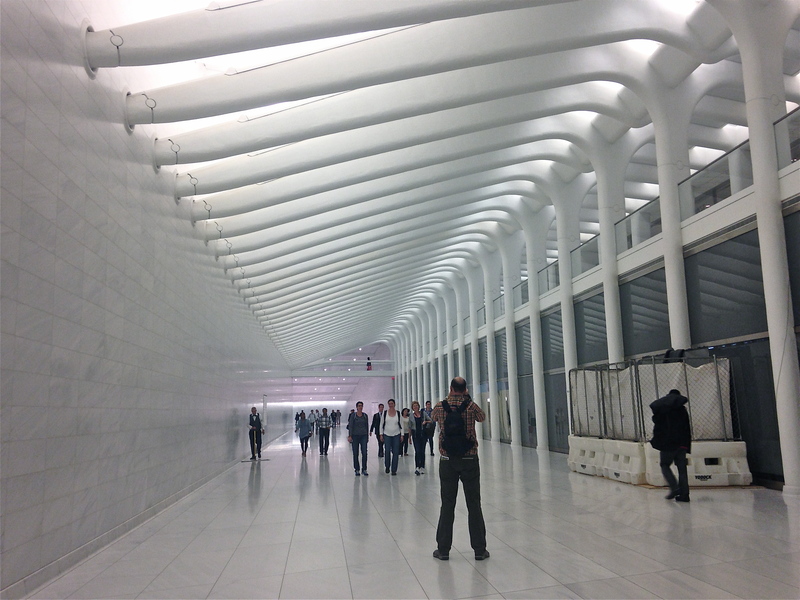 And the PATH station’s Platform B.
Brookfield Place, when it was called the World Financial Center was terribly damaged on 9/11. 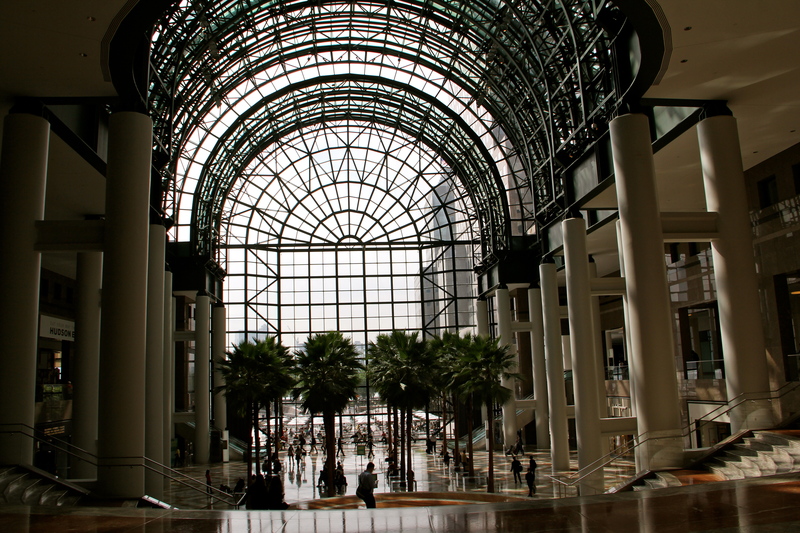 The Winter Garden, which had all the windows blown out, has been beautifully restored and has been expanded to hold a variety of great food vendors, including Le District, a kind of French Eataly. So to the observatory. 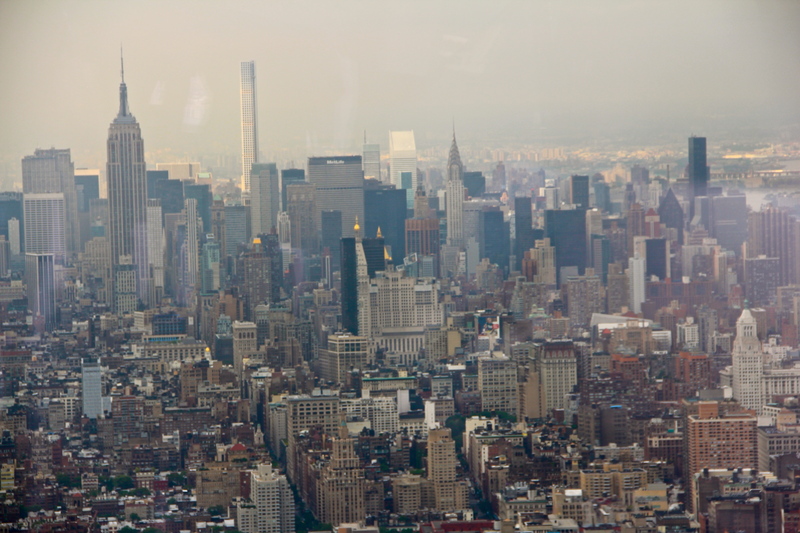 Super high-speed elevators whisk visitors 102 floors up in about 40 seconds. 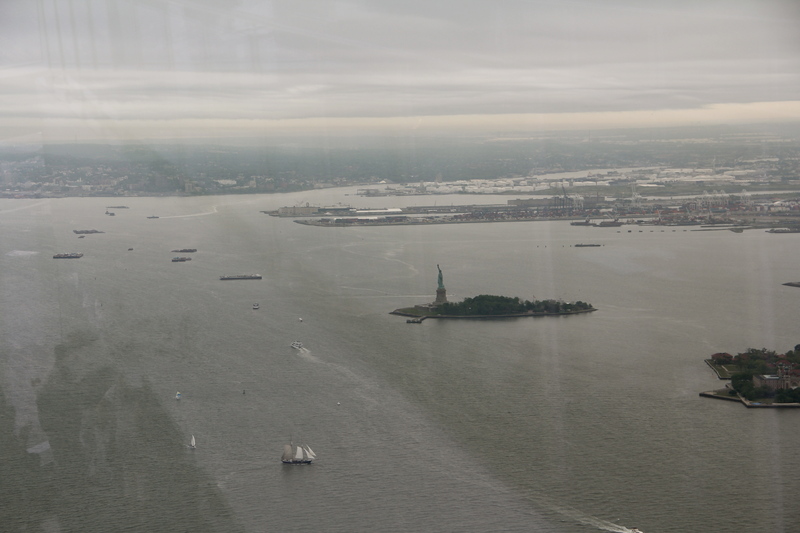 During that brief time, video screens inside the elevators show a CGI timelapse of New York City history–the landscape of Lower Manhattan from the year 1500 until today. It was one of my favourite parts. Then, upstairs you are obliged to watch a bit of a kitschy video celebrating NYC before the screen goes up to reveal the skyline to cheers from the crowd. 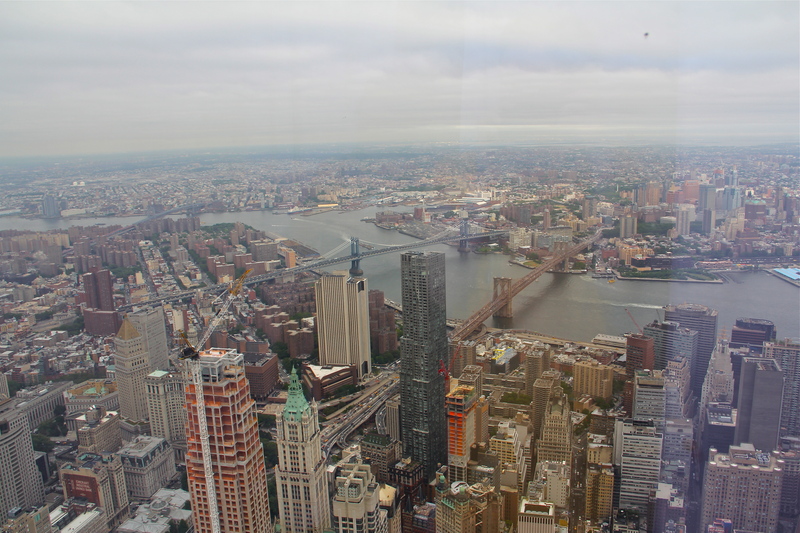 Thankfully that is the only cringey part of the experience and you are then left alone to wander the observation deck and take in the 360-degree views at your leisure. Thanks to Walks of New York for hosting me on their tour. As nights start to draw in and the winter air begins to chill, my thoughts always turn east to the Nordic countries. There’s just something about thinking about those cool, crisp countries that comforts me in long winter nights. I pick up my (guiltily) beloved Nordic crime novels, hunt for episodes of The Killing and The Bridge online, watch Aki Kaurismäki movies, listen to the glacial music of Rubik, Husky Rescue and Sigur Ros, remember my many visits and plan many more. I met up with a woman from Helsinki last week for an article forthcoming for (614) Magazine and now I am dreaming of Finnish forests and remembering the last summer I spent in Helsinki. Walking along the craggy shoreline of Suomenlinna, an 18th-century fortress island, made me feel far removed from the city — actually only a 15-minute ferry ride away. Ferry from Kauppatori to Suomenlinna sea fortress, where I stayed for the first half of my trip. Photo by author. 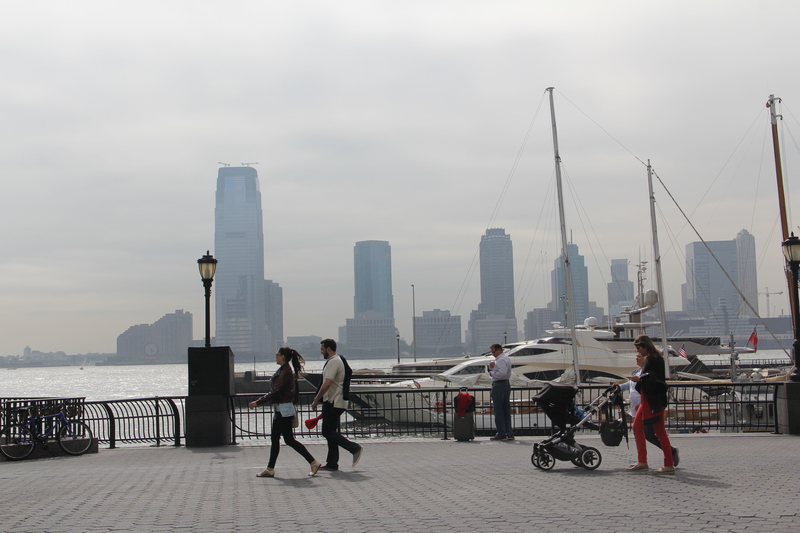 The island is peaceful; almost silent outside of ferry arrival times. 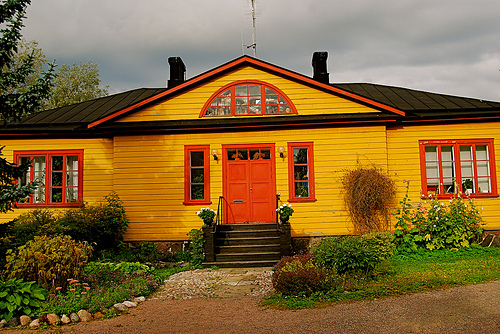 House on Suomenlinna. Photo by author. 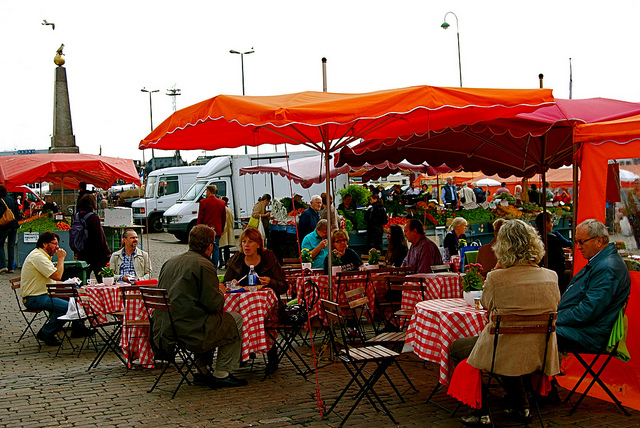 Arriving at Market Square from the Suomenlinna ferry, you can choose from dozens of food vendors. The Old Market Hall, which dates from 1914, is best known for its fresh produce — it’s where the city’s chefs shop. Helsinki Market Square. Photo by author. Boat in harbour at Kauppatori. Photo by author. 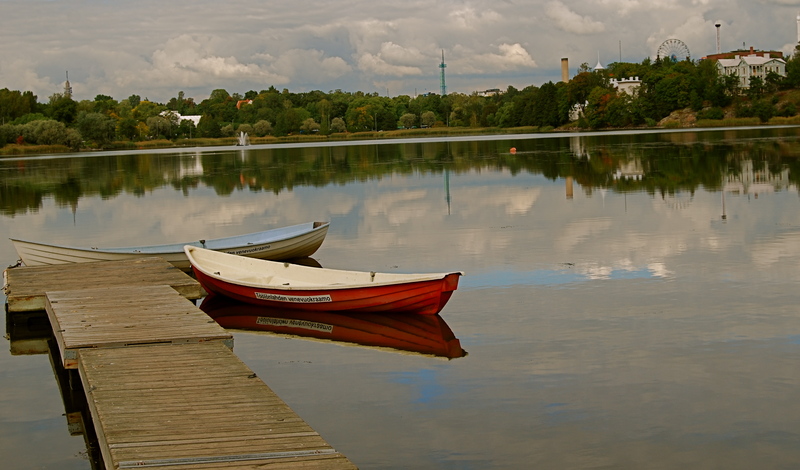 Töölö Bay is circled by a jogging/walking track and rowboats usually dot the bay. 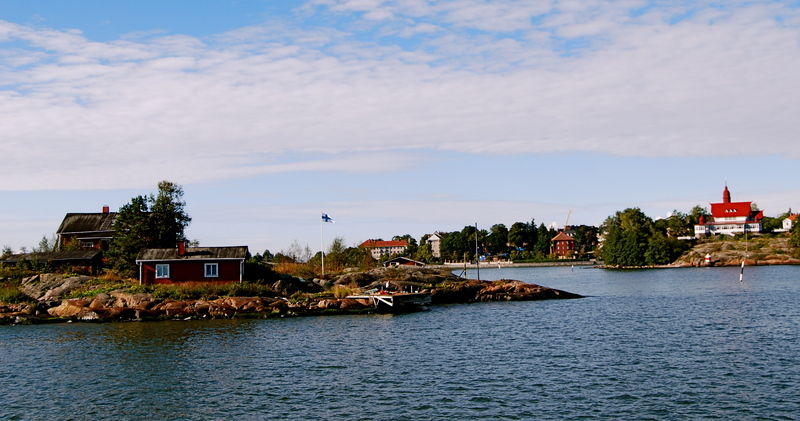 Töölönlahti Bay. Photo by author. The beautiful old villas overlooking the water are still inhabited. 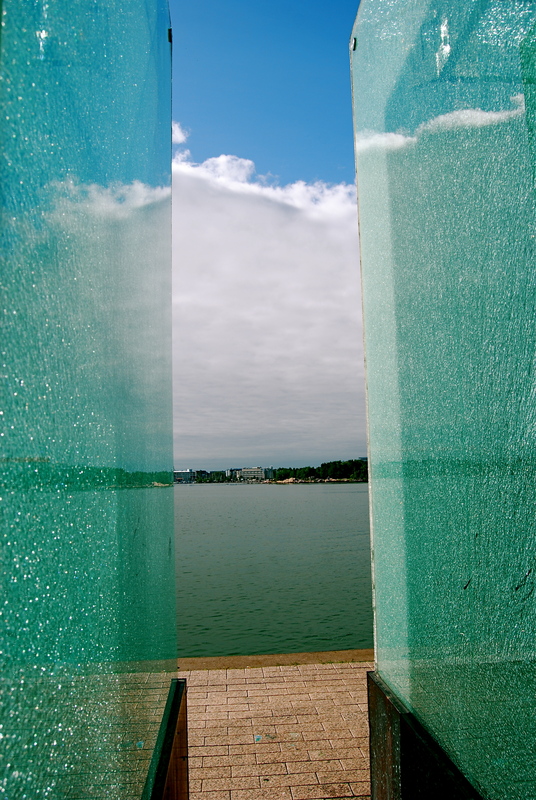 The terrace of Blue Villa Cafe has views across the Bay, as well as Finlandia House, National Opera House and Kiasma art museum. 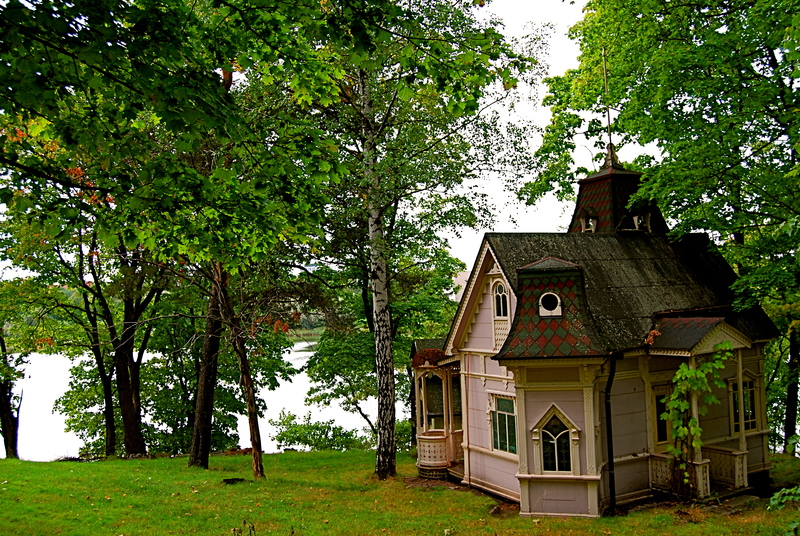 Linnunlaulu Villa. Photo by author. 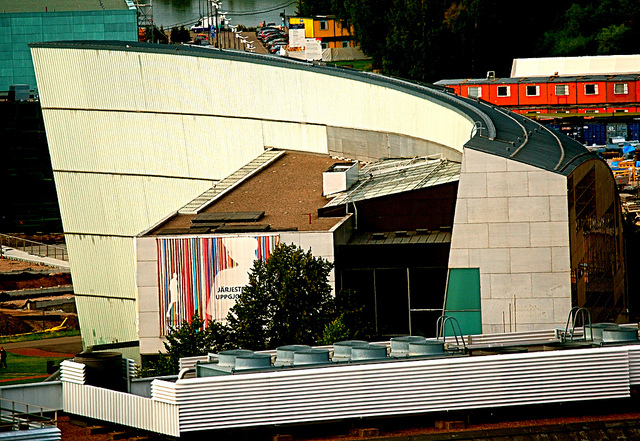 The contemporary art museum, Kiasma features striking architectural design and programming. Cutting-edge architectural and design is, of course, at the heart of Helsinki. 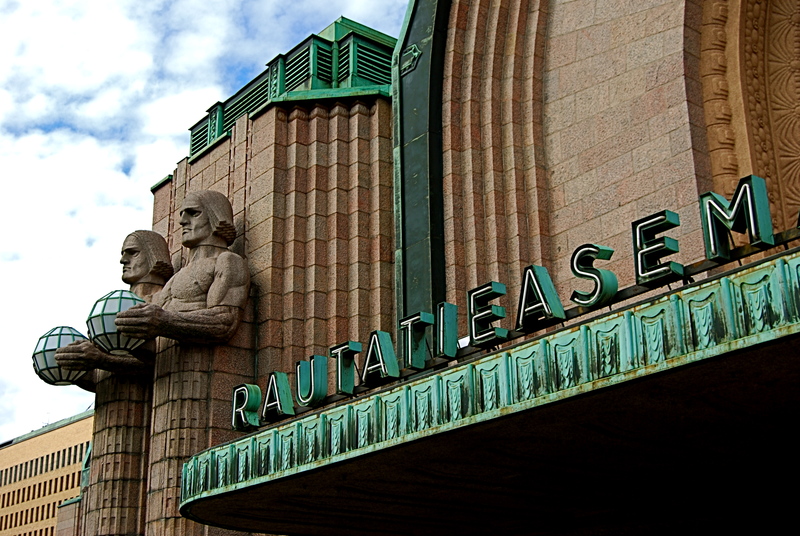 Helsinki Train Station. Photo by author. Everyday objects are designed to within an inch of their lives — including bicycles. The almost painfully hip fixed gear Jopo bicycle is the most stylish, and practical, vehicle for getting around the city. Jopo bicycle parked in the Design District. Photo by author. 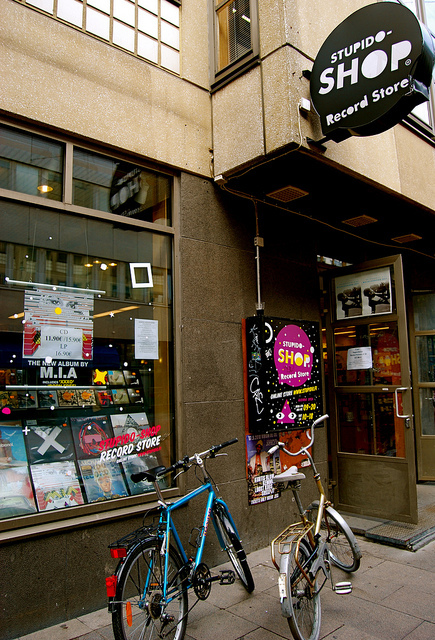 Independent record stores thrive in Helsinki, especially in the Punavuori district. Stupido Record Store. Photo by author. Bars, clubs, music venues and cafes are rooted in Punavuori. 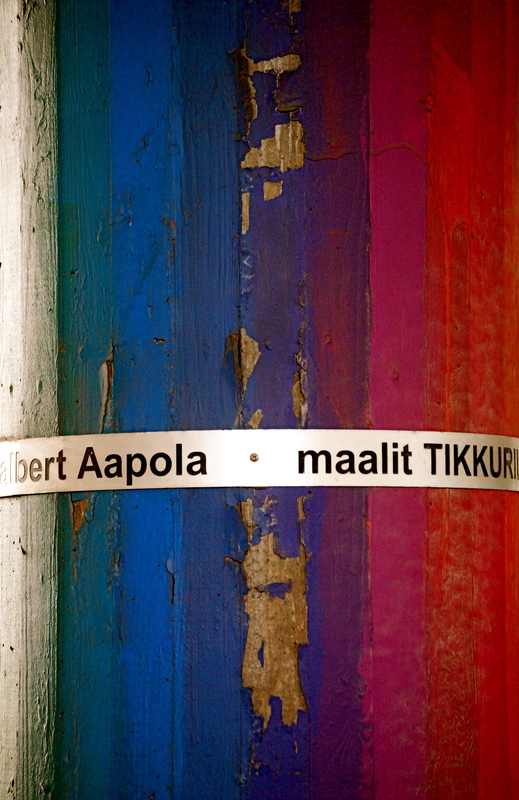 One of my favourites was a combination of all four: Belly on Uudenmaankatu (which I fear may now be closed). They did a cheap buffet during the day and live music in the evenings. 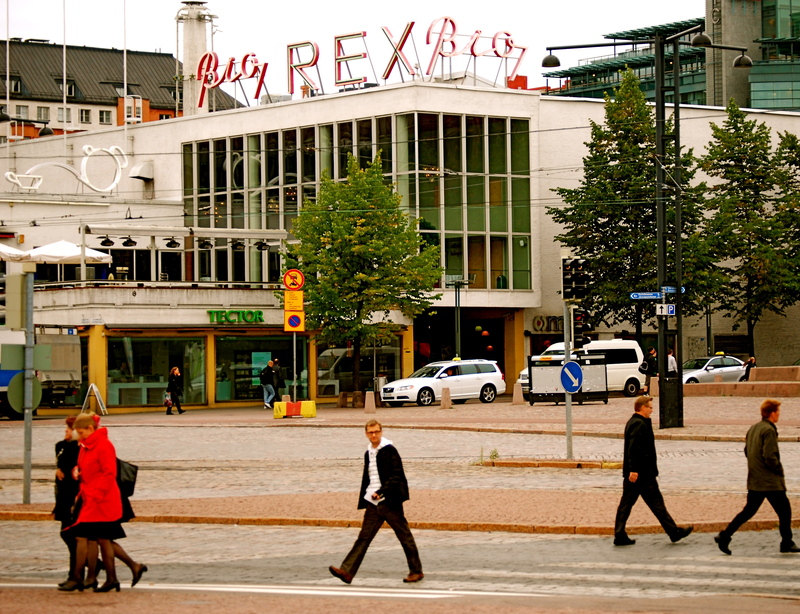 Helsinki street scene. Photo by author. 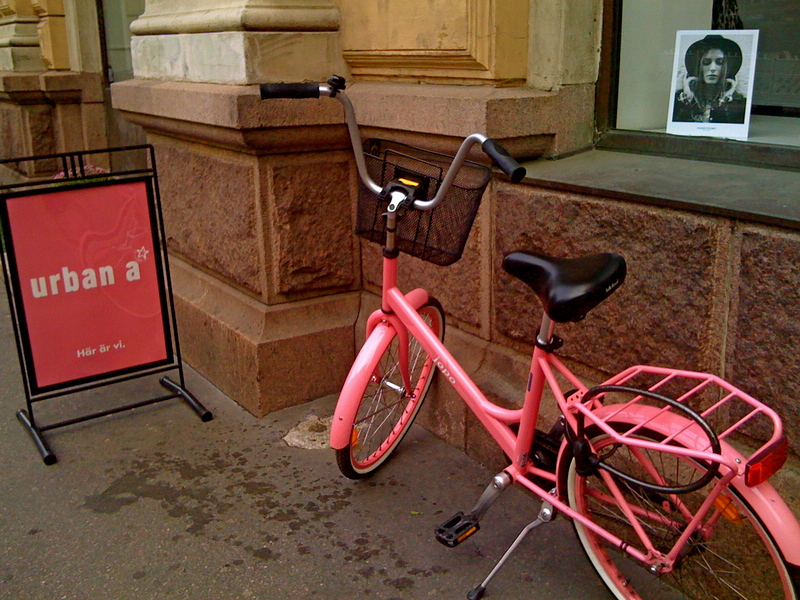 Helsinki colour. Photo by author. 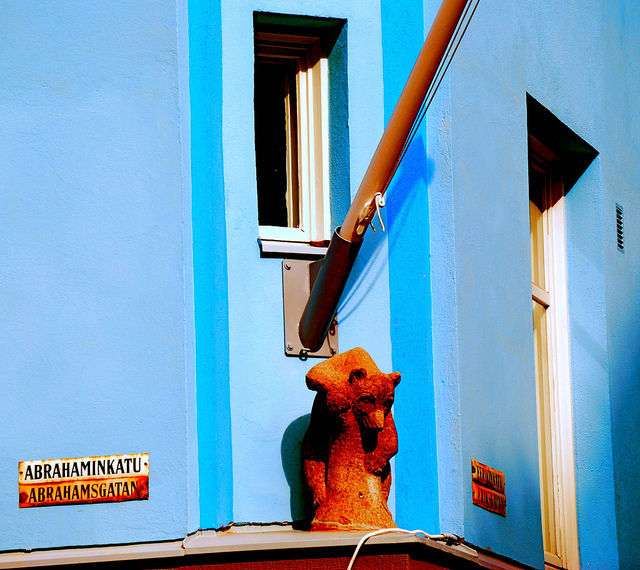 Art is everywhere in Riga. 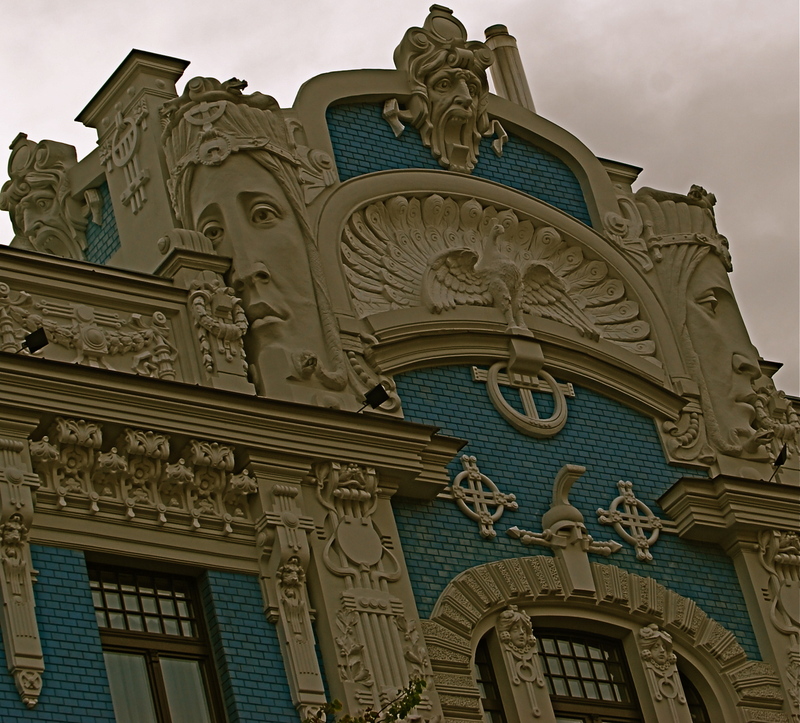 Just take a walk through the Art Nouveau district with your head turned skywards and you’ll find almost an entirely new population of Rigans: dozens of highly expressive, and often haunting, faces etched into the 750+ buildings designed in the Jugenstil or ‘youth style’ — a dramatic style of architecture that coincided with Riga’s late 19th century economic boom. 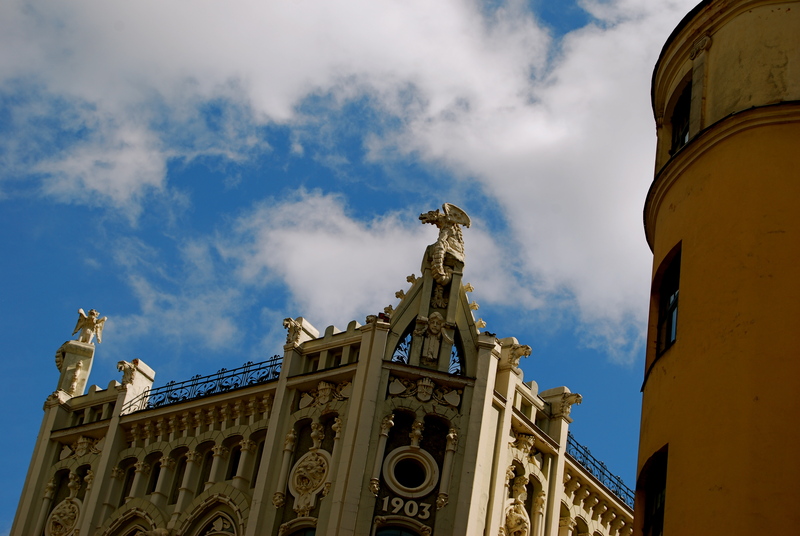 It is a little depressing, however, to contemplate the bland buildings behind the ornate facades and Latvia’s subsequent economic strife, which is perhaps made all the more stark by the sumptuousness of the facades. 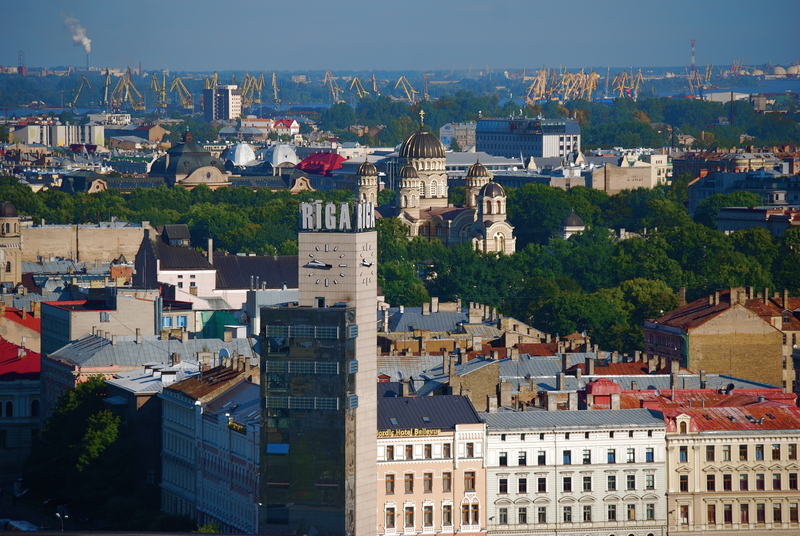 Besides the flamboyant works on display on Riga’s streets, the city has an impressive number of art museums featuring collections from the country’s history. And the Contemporary Art Museum of Latvia, whose setting in a disused power station recalls London’s Tate Modern, is currently being constructed. 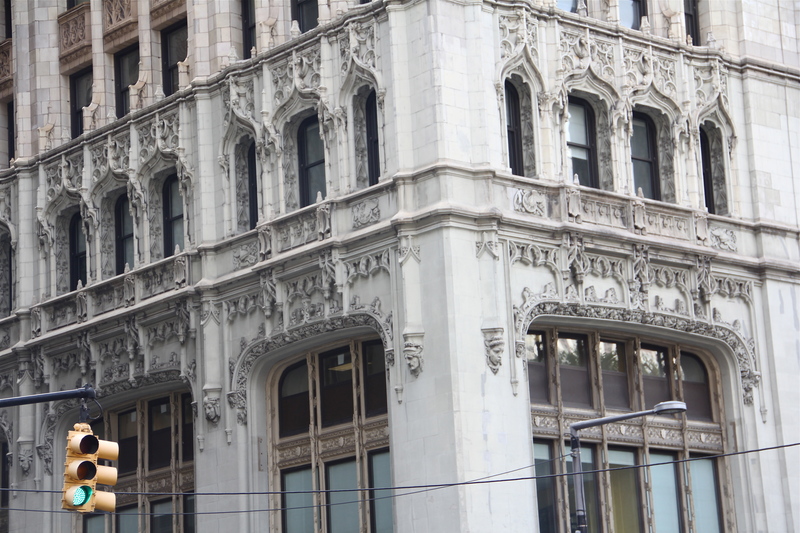 On top of this, new galleries are opening up all the time, several of which function as not just a place to view cutting-edge art from the city’s young artists, but a place to hang out for coffee, lunch or drinks. Galerija Istaba‘s ground floor is stuffed full of cards, jewellery and and objets d’art by local Rigan artists, as well as art books and magazines. The tiny upstairs bar features bright colours and a few small tables where you can dine on a changing menu prepared by Martins Sirmais, one of the city’s most popular chefs. Kim stands for “kas ir maksla?” or what is art? This place, in the redeveloped warehouse district of Spikeri, is a buzz of cultural activity, from philosophy discussions, to book readings, film screenings and live music. 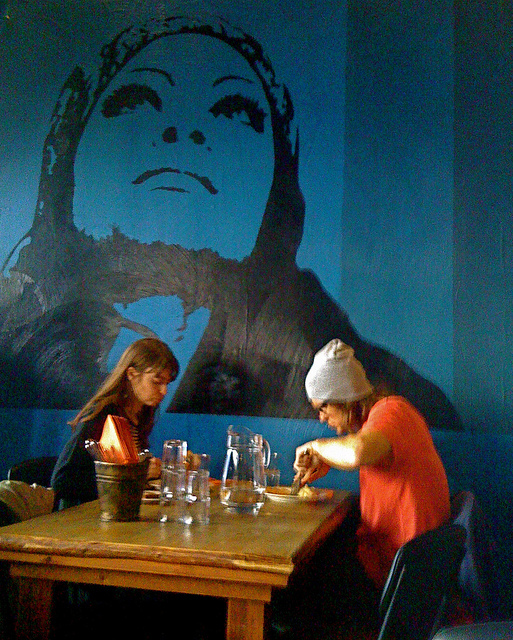 Next door’s Dirty Deal Cafe offers electronica, hip-hop and live shows, while, in the same building, the Meta Kafe book cafe serves fresh, seasonal dishes sourced from the nearby Central Market. 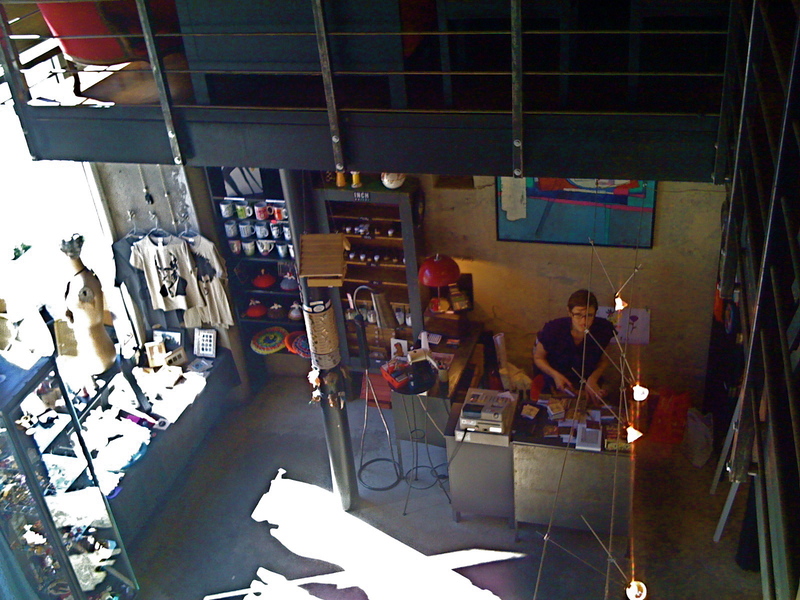 Garage is housed in a converted garage in the Bergs Bazaar, one of the city’s most interesting areas, a collection of arcades, cafes, boutiques and twice monthly farmers markets, peacefully hidden away from the main streets of the inner city. On the first floor you will find a selection of items from some of Latvia’s leading artists and designers, while the mezzanine-level café offers good coffee and views of Bergs Bazaar. 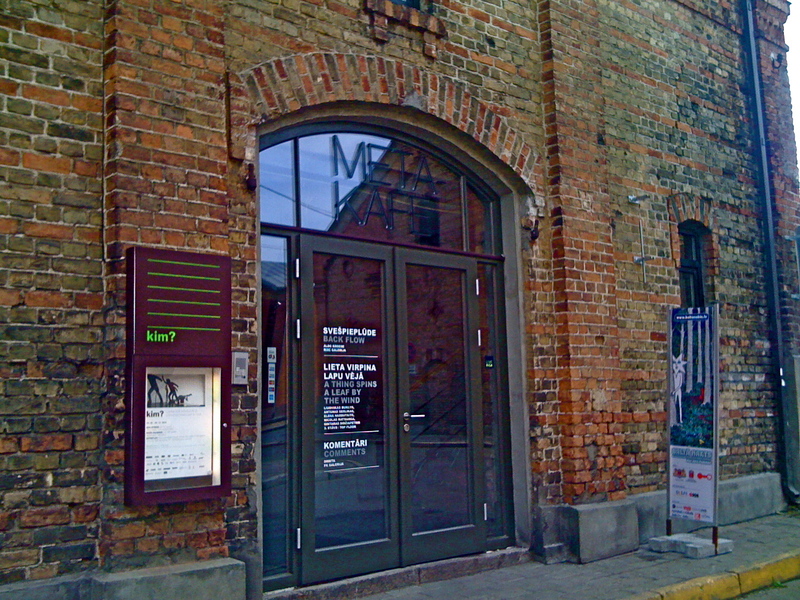 The Riga Art Space is said to be one of the most important and active art spaces in the entire Baltic region. 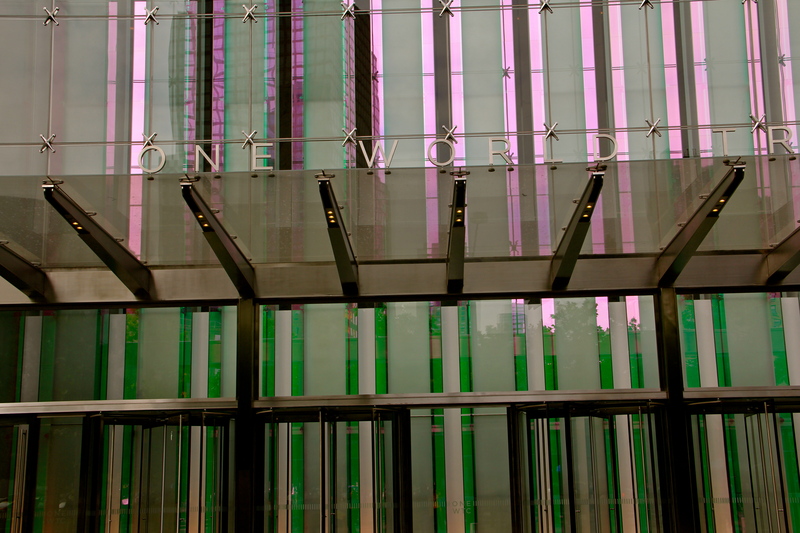 Sadly for me, when I visited it was between exhibits and staffed by a comically grumpy old lady. 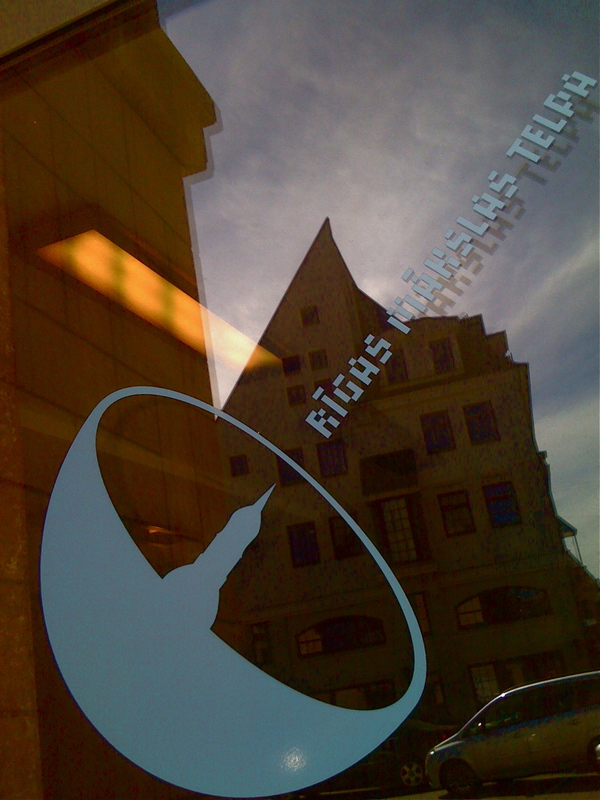 Close to the Freedom Monument, this is one of the biggest and most prestigious galleries in Riga, and has been in operation since 1992. The gallery holds a large, rather haphazardly displayed collection of contemporary art and the building was once owned by the father of Jazeps Grosvalds, one of Latvia’s finest painters.